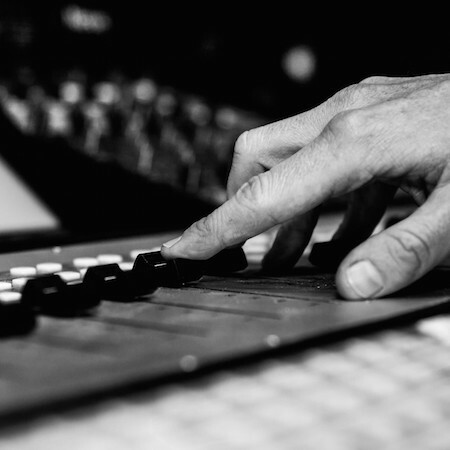 Audio mixing is a key element in presenting your recording. A dull lifeless mix or inaudible vocals can ruin all the hard work done in the recording. Oscillate recordings offers analogue and digital mixes we through our Neve Genesys desk and our vintage outboard gear such as our Fairchild compressors, Bricasti Reverbs and GML Eq’s. A full breakdown for our equipment can be found here. We mix in a world class monitoring environment in order to fully hear the mix. At Knutsford we have Roger Darcy built rooms complete with ATC 300’s as well as an array of speakers including Yamaha NS-10’s, Auratones, Avatones to cater for different listening environments. Not only does you mix need to sound good at home also in your car, laptop or on iphone headphones. As well hardware we also use industry standard software on our mixes including Waves and have a UAD system including Neve, Harrison, 1176, Maag, Lexicon, EMT, Shadow Hills, Fatso, Manley and many others. Before we mix we always have a consultation with the client so we can reference to mixes that are currently released. We can mix with the client in the studio or mix remotely if the client can’t attend the session. Prices vary depending on the complexity of the track, amount of audio stems and whether it’s a digital or analogue mix so please contact for a quote.